Where is this bus, and who's on first? 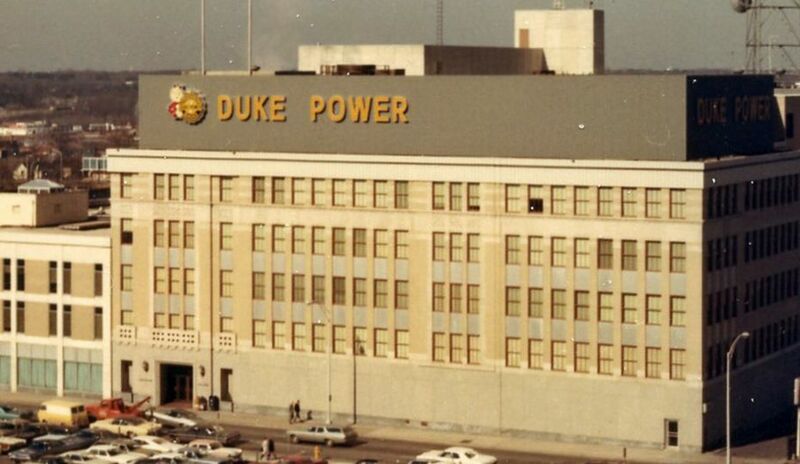 We need your help identifying more photos from the Duke Energy archives – if you have any information about where or when these photos were taken, email illumination.duke-energy.com. To be notified when new photos are posted, subscribe to our newsletter. Scroll to the bottom to see what photos our readers have identified this week! 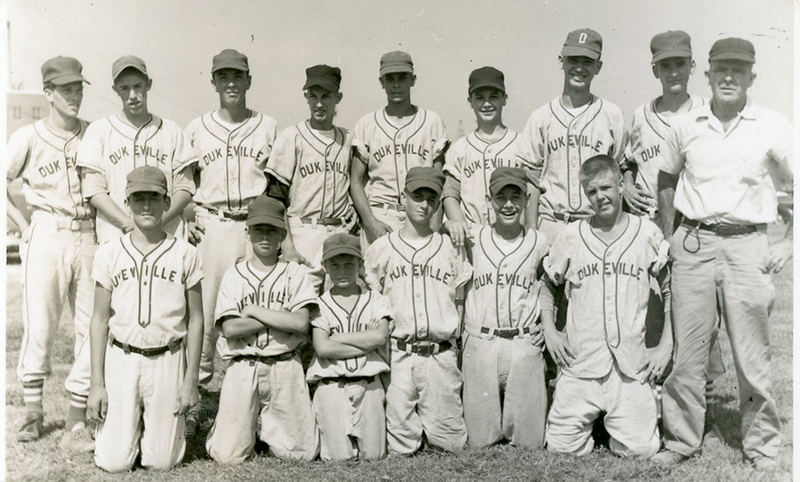 Do you know any of these baseball players from the Dukeville/Buck Steam Station baseball team? 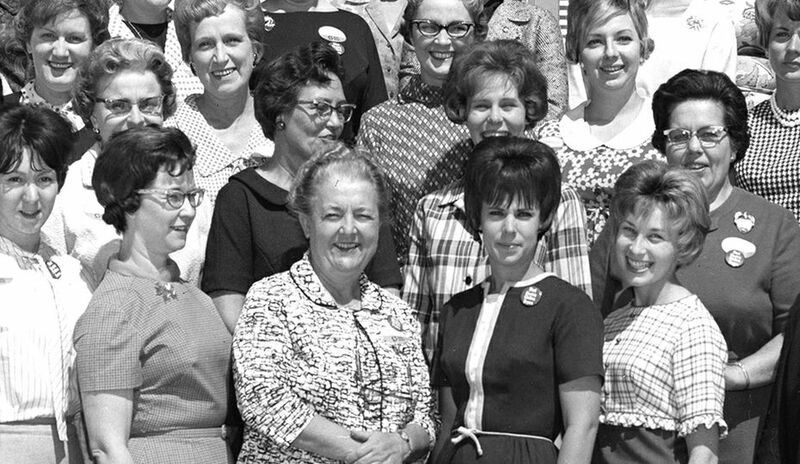 Or what year this might be? 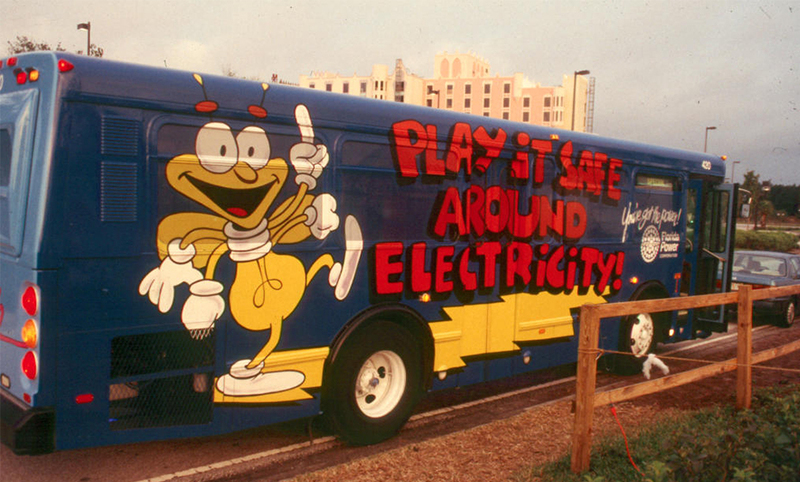 We're familiar with Louie the Lightning Bug and his safety bus, but do you know where this photo from the Florida Power Corp. collection was taken? Were there other buses or vehicles that advertised electrical safety? 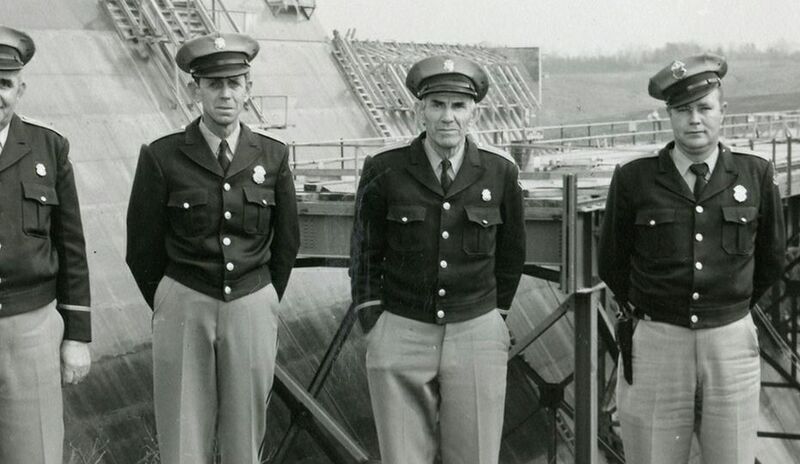 Who are these men from the Duke Power collection? 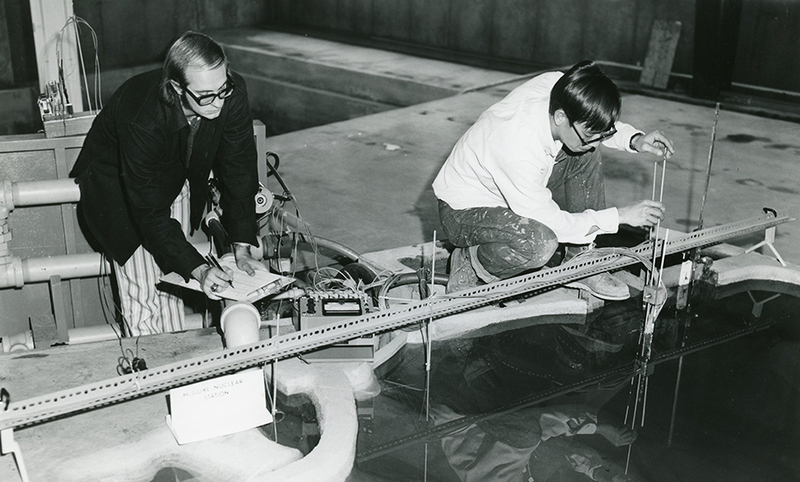 Do you know what site this is and what kind of work they're doing? 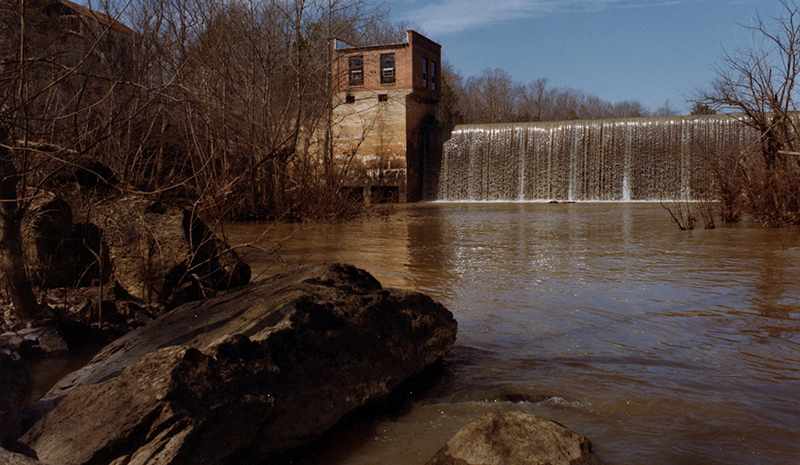 Steve Garrett at Harris Nuclear Plant let us know that the dam pictured is Woody Dam on the Rocky River in Chatham County, N.C.
Several readers recognized this photo from the Florida Power Corp. collection as an United Way campaign event. Debra Crisp, who works for Duke Energy in Florida, said President Allen Keesler and Vice President Joe Cronin borrowed her old concert tees and Halloween wigs to play their "Wayne's World" roles. The United Way skits traveled to corporate offices, plants and operating centers to hand deliver pledge cards. 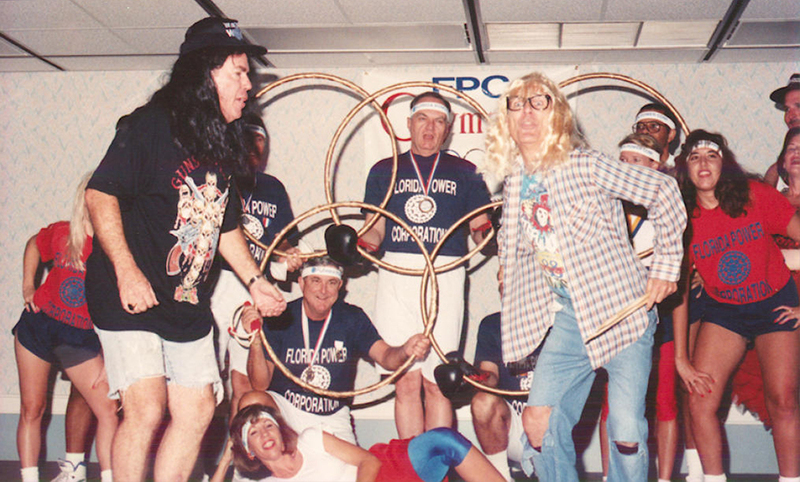 This particular skit was Olympic-themed and set to the tune of "Let's Get Physical." According to Debra, the skits were always hysterical. This picture was familiar to a lot of you. 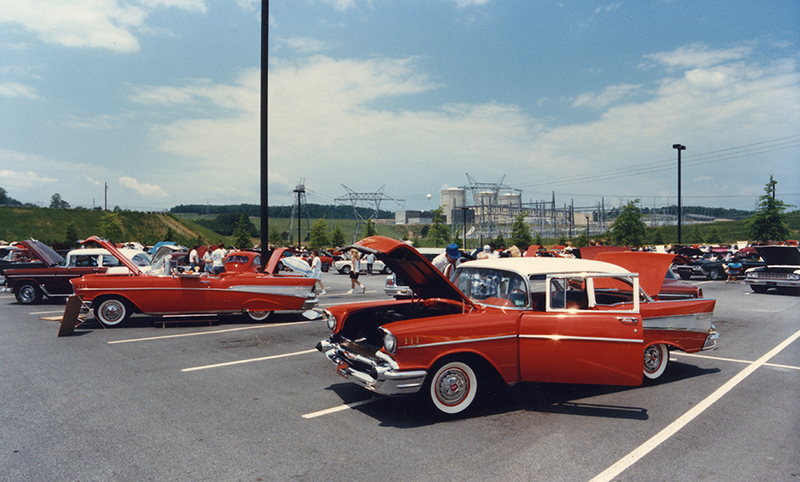 We're told this car show was at Oconee Nuclear Station in South Carolina in the late 1980s to early '90s. 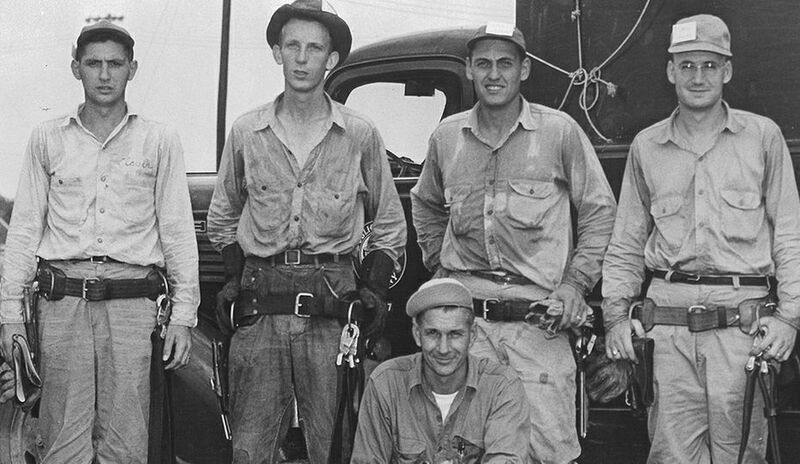 It was also part of a United Way event, which still takes place today in the same parking lot.